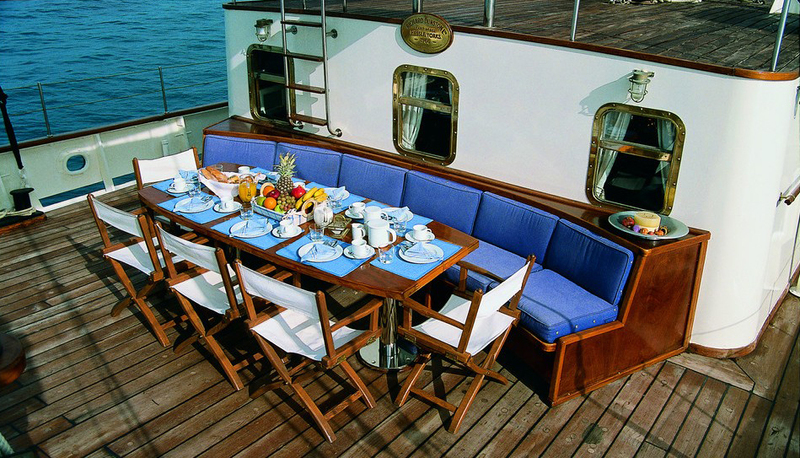 In 2007 SIR WINSTON CHURCHILL underwent a complete refit to become a luxury charter sailing yacht, while still retaining many of her original features. 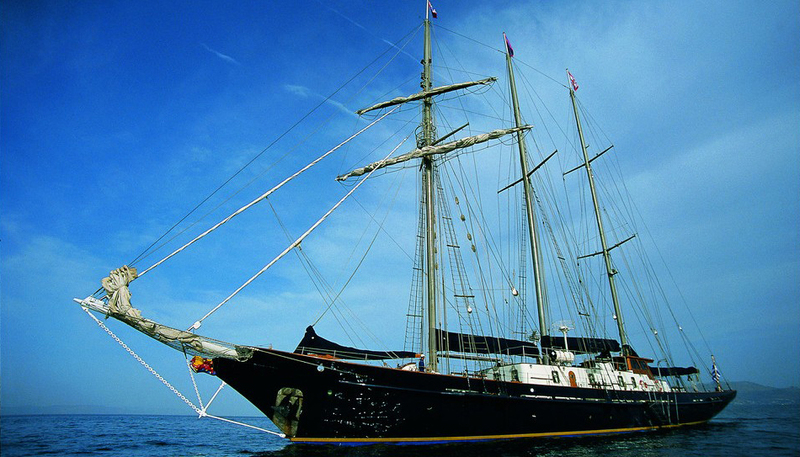 S/Y SIR WINSTON CHURCHILL is available for charter in Greece with accommodation for up to 13 guests in 6 cabins. 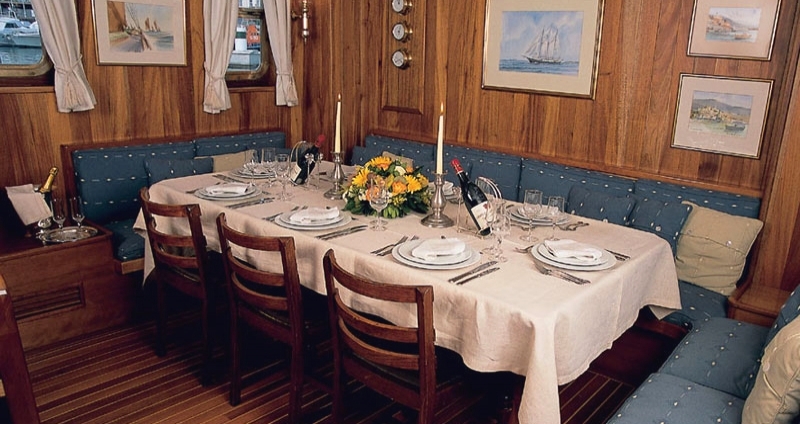 Charter yacht SIR WINSTON CHURCHILL has an elegant spacious interior steeped in early to mid-1900 style, boasting fine mahogany and cherry panels and beautiful teak and ash flooring. The salon is on the main deck allowing in ample natural light through traditional ports and deck lights and features a large lounge space with comfortable L shaped sofa, coffee table, formal dining area and fabulous games table. 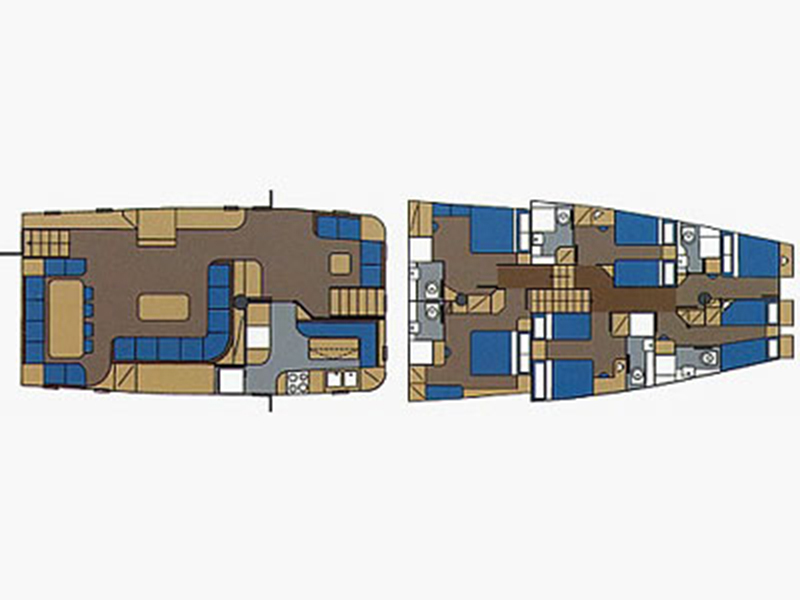 Forward of the salon S/Y SIR WINSTON CHURCHILL offers access to her 6 deluxe en-suite cabins for up to 13 guests. 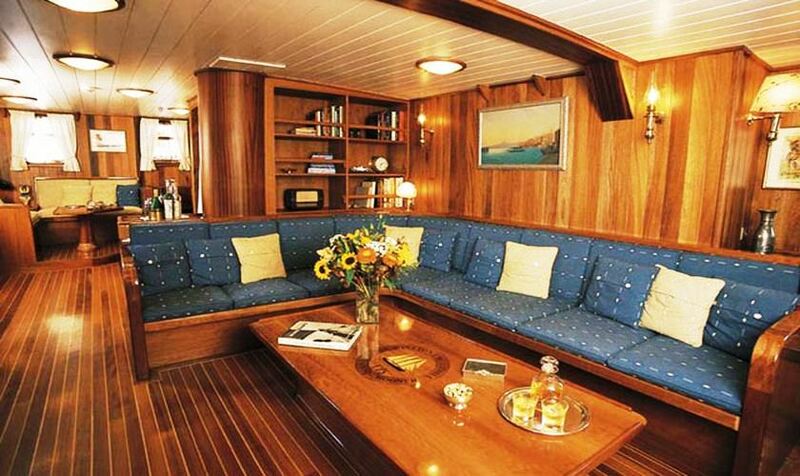 Yacht SIR WINSTON CHURCHILL has an abundance of ideal outdoor living areas. The main deck is wide and spacious offering chaise lounges and an alfresco dining option. Above the main deck and forward of the pilot house, a sundeck is atop the salon with additional chaises and seating. The schooner rigged yacht SIR WINSTON CHURCHILL has a beam of 7.6m (24ft) and a draft of 4.98 (16ft), she is powered by 2 Lveco 36HP engines with cruising speeds of 11 knots. S/Y SIR WINSTON CHURCHILL boasts an impressive 8,738 square feet of sail area expertly handled by her professional crew of 9. 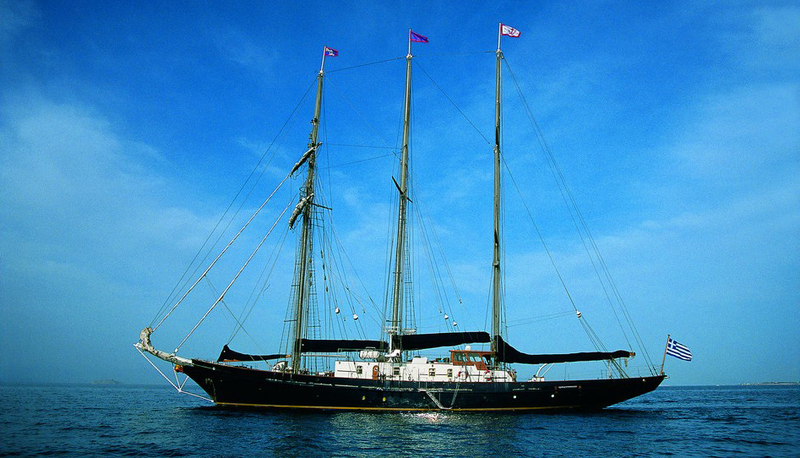 Tall ship SIR WINSTON CHURCHILL can accommodate up to 13 guests in 4 double and 2 twin cabins. A master and VIP cabin offer queen size beds amidships on port and starboard, 2 double guests cabins have double beds, one with a Pullman berth and a further 2 cabins offer twin beds each. 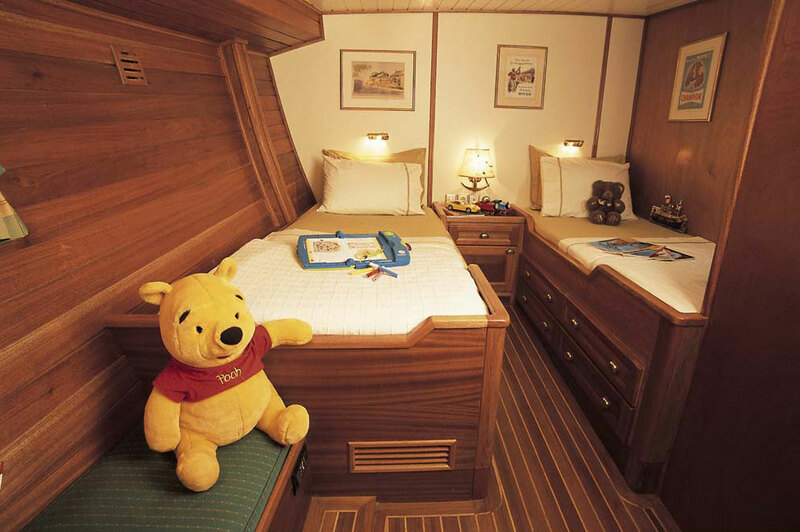 One of the twin cabins can be adjoined to a double cabin if required. 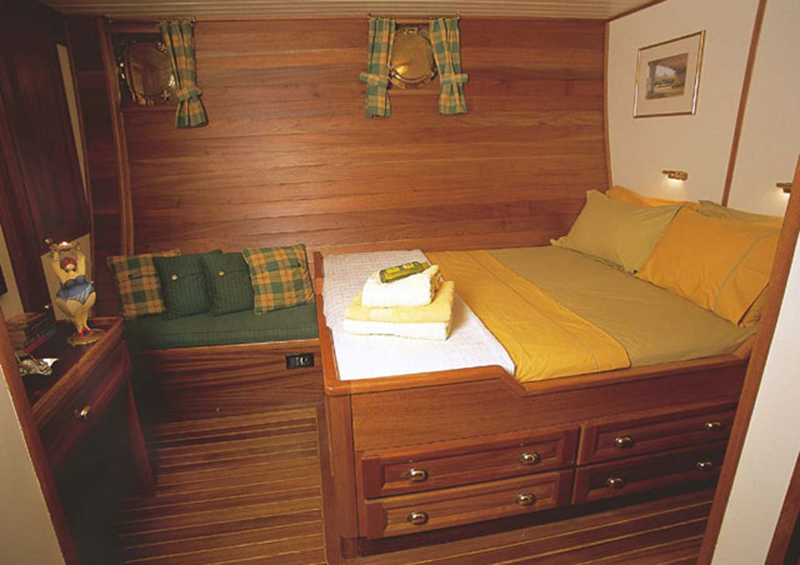 All 6 cabins offer en-suite facilities, audio systems and embody a warm and charming atmosphere. The SIR WINSTON CHURCHILL sailing yacht has a 5 Meter Tender with 70hp Outboard, 4 Meter Inflatable With 40hp Outboard, Water-Skis. Kayak. Towing Tubes. Snorkeling And Fishing Equipment, Board Games, Beach BBQ, VHF, GPS, Radar X 2, EPIRB, GMDSS, IMARSAT C, Wind Instruments, Weather Fax, Plotter, Ice Maker, Autopilot Sat Phone , Satellite TV, DVD, Video and Stereo Music In Salon.